I have a tendency to exaggerate nearly everything. When I write my blog, I try to resist this proclivity toward hyperbole; after all, if I tell you guys that everything’s delicious and amazing, you’ll start to wonder (and rightly so) whether I’m being overly charitable. When it comes to fruit and vegetable juice, however, I have no problem whatsoever pulling out my most over-the-top praise. Fresh fruit and vegetable juice is amazing, and today, I’m giving you a chance to make it at home with your very own Breville Juice Fountain plus–a giveaway courtesy of the amazing folks at PunchTab!! 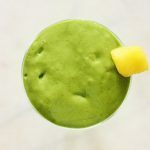 If you’ve been reading my blog for a while, you’ve seen some of my favorite juice creations, and heard all about how much I value these glasses of liquid nutrition. I discovered juicing shortly after I discovered raw foods. I was already eating a nutrient dense, vegetable-rich diet. 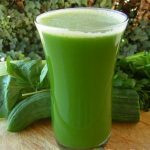 But, after years of food restriction, IBS-C, and sluggish elimination, the flood of hydration and nutrition that came along with fresh green juices was nothing short of transformative for me. I felt a tremendous change when I started juicing: more energy, better digestion, and–though there’s absolutely no way to validate this–a number of people started to comment on my cheeks being rosier. 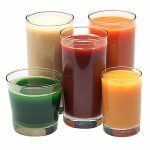 Beyond all that, I just loved the taste of fruit and vegetable juices, and soon found myself craving them nearly all the time! 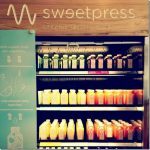 Today, I have a lot less time to make juice (thank goodness for Sweetpress! ), but my love affair with fresh juices continues. No, I don’t think that juice is a suitable or sustainable replacement for food, which is why I don’t fast (or personally recommend fasting). But I do turn to juices whenever I feel that I need a boost, a pick-me-up, or a little flood of micronutrients. I think of juices as a kind of liquid supplement, and a delicious supplement at that. I’m constantly asked about what kind of juicer I own. Truth is, I’ve had the same juicer for about five years, and it’s still giving me delicious elixirs. It’s the Breville Juice Fountain plus–a simple, two speed centrifugal juicer–and I absolutely love it. It’s not the fanciest juicer on the market, but it’s ideal for the average home juice lover. Fruits and vegetables go through seamlessly, and greens are fine if you bunch them up a bit! It’s efficient, easy to clean, and easy to use. 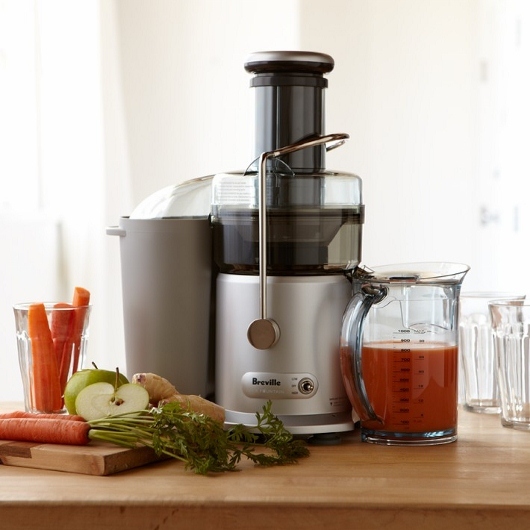 Which is why I am so delighted that the folks at PunchTab–a loyalty platform dedicated to giving blog readers rewards in the form of giveaways and promotions–are offering one lucky Choosing Raw reader his or her very own Breville Juicer. Punchtab contacted me last week asking if I’d be interested in reviewing a product. I said I’d be thrilled! When they asked what product came to mind, I immediately thought of a juicer: what better gift to share with CR readers than an item I use so often myself! The PunchTab company agreed, walked me through the giveaway process, and today, I’m pleased to share a chance to win with you. Of all the giveaways I’ve hosted, this one feels really special to me: it’s a way to show you all exactly how beneficial and life changing the gift of green juice can be. To enter this giveaway, you’ll use the PunchTab entry box below! You can sign in via email or Facebook, and as you’ll see, you get individual extra entries for following me on Twitter, liking CR on Facebook, tweeting the giveaway, visiting my Pinterest page, and commenting on this post to let me know what the first juice you hope to make with your new juicer will be!! If you don’t see the entry box, it simply means that the PunchTab server is momentarily busy; visit back in a second! I sincerely look forward to giving one of my readers the gift of juice. Good luck to you all! Now, ready, set…Punch! Giveaway Disclosure: I own a Breville Juice Fountain Plus that was not provided to be by the provider of this giveaway, Punchtab. Punchtab is not compensating me for this giveaway. I am not employed by the provider, Punchtab, and have been offered the item for giveaway on a one time basis only. 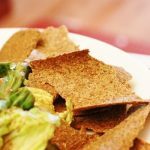 Previous Post: « Hempseed Pancakes, Vegan and Gluten Free! I would make orange apple juice. 2 carrots, 2 celery stalks, 1 lemon, 1 chunk of ginger, 1 green apple, 1 bunch kale. 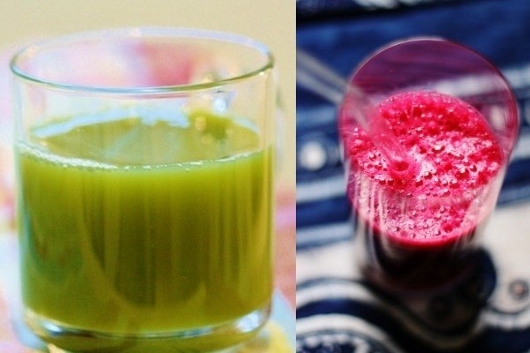 ginger, apple, celery, beets and spinach…YUM! Kale ginger lemon apple – the cure for what ailes you! I WON THIS !!!!! THANK YOU SO MUCH !!! I received this on Friday and I have been juicing all weekend long .. it is an amazing machine !!!! Carrot, apple, ginger, Italian parsley, fennel juice. Ah Breville makes the best juicers. Good choice! I love Breville juicers not just because of its punch-tabs but because of its unique capacity to perform.